Even though microneedling sounds rather unpleasant at first mention, the actual treatment isn’t painful at all, and the results are always worth it. By increasing youthful cell turnover and collagen production, microneedling takes care of many facial imperfections. At MD Advanced Skincare’s Houston, Texas, practice, you can experience microneedling treatments in a luxury medspa environment. To learn more about microneedling, call or use the online scheduler to set up a consultation. Microneedling, also known as collagen induction therapy, uses a series of tiny needles to create very small, controlled skin injuries. The injuries trigger your body’s healing factors to travel to the site and stimulate collagen and elastin production. Collagen and elastin are the skin’s fountain of youth. 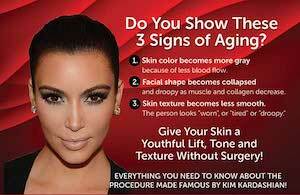 They build a strong support system underneath the skin, amplifying your best features. At MD Advanced Skincare, our professionals use the SkinPen to perform microneedling. The pen-sized device pulsates to create hundreds of mini-punctures within minutes. The SkinPen skin rejuvenation therapy uses straight, adjustable needles to access even the most hard-to-reach areas. The equally spaced needles create even results. What skin troubles does microneedling help with? First, your aesthetician washes the treatment area and applies a topical numbing agent. Then, they turn on the SkinPen and pass it over your face, covering one section at a time until they’ve treated the entire area. With help from the topical numbing agent, the pain from microneedling is minimal. Most people feel the vibration from the pen more than they feel the needles. Microneedling provides effective skin rejuvenating for all skin types. 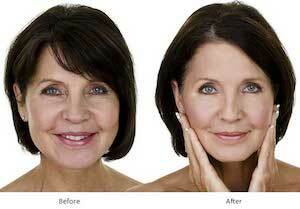 The procedure is a minimally invasive option for those who want to restore their skin’s youthfulness without surgery. Each microneedling treatment is very fast and requires no downtime, which is perfect for your busy schedule. You may have a sunburn-like after-effect, but it shouldn’t interfere with your plans. Microneedling treatments also present minimal risks, especially when performed by experts like those at MD Advanced Skincare. They use the body’s own healing processes rather than foreign substances to create results, so adverse reactions are rare. As a bonus benefit, microneedling helps your skin absorb skin care products more easily. The tiny punctures allow your serums and potions to penetrate more readily into the skin. Schedule a consultation to see if microneedling is right for you. Call the Houston, Texas, medspa or use the online booking option.